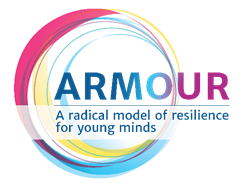 The ARMOUR project aims to address societal polarization caused by the adoption and spread of extremist ideologies by creating an interdisciplinary model of learning. It will help practitioners and communities to build resilience against ideologies and behaviours related to violent extremism. The project will support creating a message that deals with concerns and interests of the society, developing critical thinking and using anger management and conflict resolution to push back the discourse of the radical pushers and joiners. The ARMOUR project aims to address societal polarization caused by the adoption and spread of extremist ideologies by creating an interdisciplinary model of learning. It will help practitioners and communities to build resilience against ideologies and behaviours related to violent extremism. The project will support creating a message that deals with concerns and interests of the society, developing critical thinking and using anger management and conflict resolution to push back the discourse of the radical pushers and joiners. The project targets a diverse range of potential influencers: first line practitioners in state institutions and CSO’s working with young individuals in the EU that are susceptible and vulnerable to radicalizing. It does so by providing individuals in the community and practitioners the know-how, as well as a toolkit consisting of an experimental creative lab architecture. The model of intervention is focused on strengthening critical thinking, individual and community empowerment, emotional resilience and community support. The project capitalizes upon the capacity of individuals and organizations to occupy public discourse and help contain extremist voices in the media space, no matter the narrative form they adopt, with the final objective of maintaining the social cohesion.